myself and the LaForce team shaped HUE's new digital identity, positioning HUE as a vibrant, of-the-moment style source for the color-loving millenial. 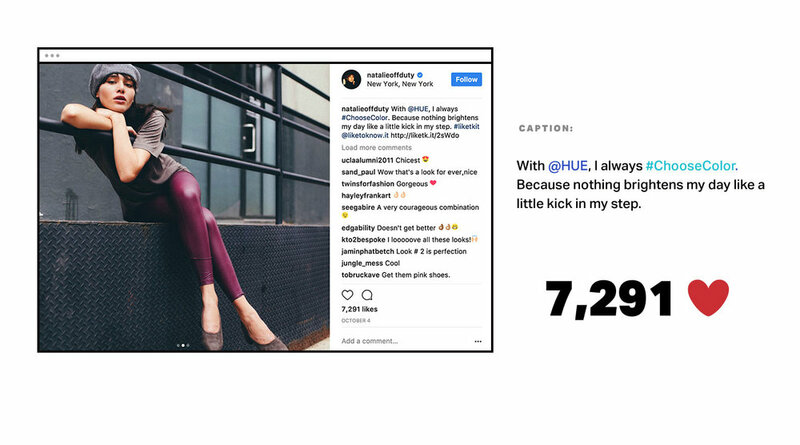 I lead influencer strategy for HUE, handpicking brand-right talent and managing the brand's influencer partnerships from start to finish including outreach, negotiation, contracts, creative briefing, message training and full execution of scopes of work. 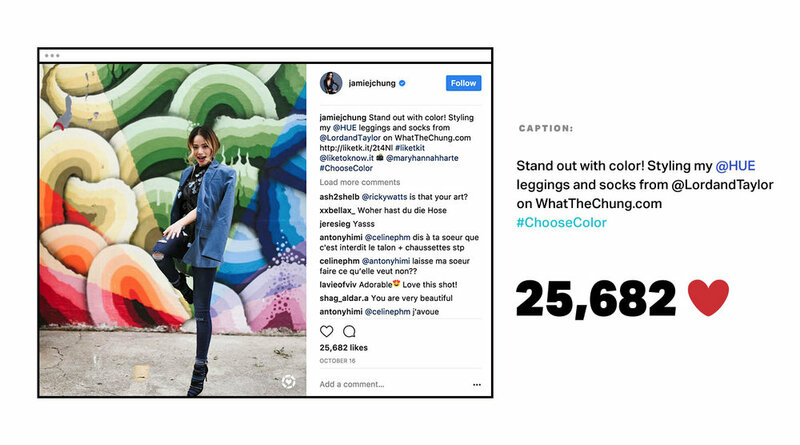 This season's #ChooseColor campaign has been the brand's most robust influencer campaign yet, with partnerships with top-tier talent such as Aimee Song of Song of Style, Man Repeller, Blair Eadie of Atlantic-Pacific, and Jamie Chung to name a few. Click through the gallery below to see a few examples of the social campaign in action. 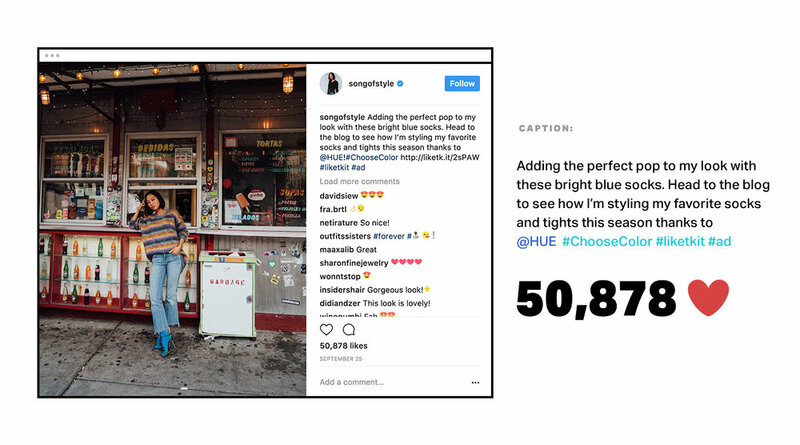 For over two years, I've written social copy for HUE, designed to engage and inspire the brand's sought after millennial target audience. Take a look below to see some examples of my social copy for the brand.